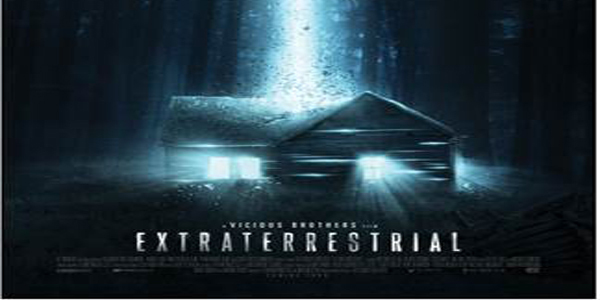 The Vicious Brothers (Grave Encounters) are back to scare the bejesus out of everyone with their new film titled Extraterrestrial. This one combines the elements of horror and sci-fi and stars everyone’s favorite — Michael Ironside (Total Recall, Terminator Salvation, Starship Troopers). Still reeling from her parent’s divorce, April (Emmy winner Brittany Allen) is dragged back to the vacation cabin where she spent fond summers as a child. She is accompanied by a group of friends, however, her trip down memory lane takes a dramatic and terrifying turn when a fireball descends from the sky and explodes in the nearby woods. The group, led by April’s boyfriend, venture out toward the explosion only to find what appears to be the remnants of a ship from another planet along with footprints that suggests its alien occupants are still alive. The college friends soon find themselves caught in the middle of something bigger and more terrifying than anything they could ever imagine. The film co-stars Freddie Stroma (the Harry Potter films, Pitch Perfect), Gil Bellows (The Shawshank Redemption, House at the End of the Street), Jesse Moss (Final Destination 3), Melanie Papalia (Smiley), Emily Perkins (Ginger Snaps Trilogy), Sean Rogerson (Grave Encounters) and Anja Savcic (I Love You Beth Cooper). 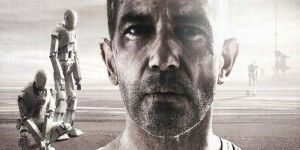 Extraterrestrial is available on VOD and will make its theatrical debut on November 21, 2014.